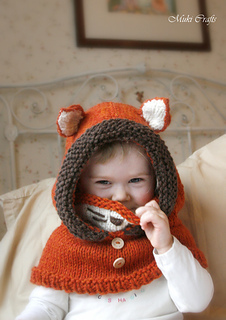 This is knitting pattern for fox hood Rene with a cowl inside which gives good coverage. 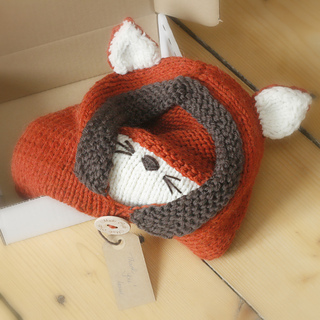 Perfect to wrap up those cold autumn and winter days and look cute. 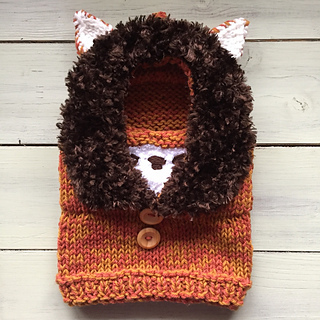 This pattern can also be used to make cat or wolf hood when you use different colors. 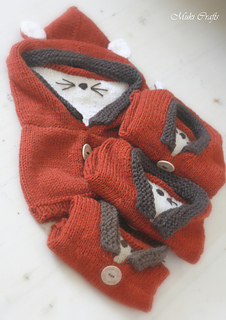 The pattern comes in four sizes: baby, toddler, child and adult. This design is available in crochet also. The pattern is in three languages: English, Spanish, Italian and French - choose the right file when downloading the pattern. The pattern comes with photo instructions! This is a fun project and a lovely surprise for your loved one! 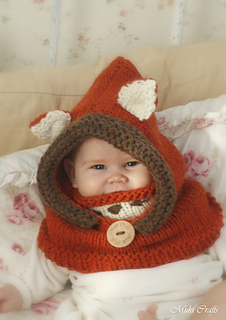 This item is knitting pattern in PDF format and not the finished product. There is no shipping charge. The PDF file will be sent to you promptly after the purchase.